Walnut Creek Audi Service and Repair | Frank's Auto Service & Repair, Inc. Cutting edge design and high performance is what Audi is all about. 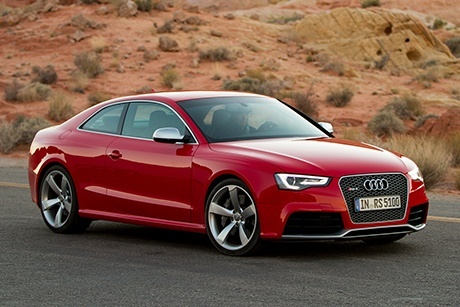 To keep your Audi in top shape, you need an Audi repair shop you can trust. Frank’s Auto Service is your one-stop Walnut Creek Audi service and repair destination. Our ASE certified technicians can diagnose and repair even the most intractable Audi problems. Their extensive experience, combined with latest diagnostic tools allow us to get your Audi back in top shape, and back on the road, usually the same day. Whether your Audi needs a new timing belt, or you face an electrical issue, bring your vehicle to Frank’s Auto Service, and experience the difference. We are happy to do the minor service and oil changes as well – we can be your exclusive Walnut Creek Audi service and repair shop. We service following Audi models: A3, S3, A4, S4, A5, S5, RS5, A6, S6, A7, S7, A8, S8, R8, TT, TTS, as well as the SUVs and Crossovers Q3, Q5, Q5 hybrid, SQ5, and Q7. Below is an abbreviated list of the services and repairs we can perform: electrical diagnostics and repair, vehicle diagnostics, brake pad and rotor replacement, fuel pump replacement, timing belt and water pump replacement, engine repair, suspension repair, check engine light, manufacturer scheduled maintenance, ac repair, catalytic converter replacement, clutch repair and replacement, coolant leaks, oil leaks, emissions repair, evap leak. These are just a few of the Audi repairs we offer. So whether your A4 has a check engine light on, or your Q7 just needs a minor service, give us a call or schedule an appointment online. We will take good care of your vehicle.